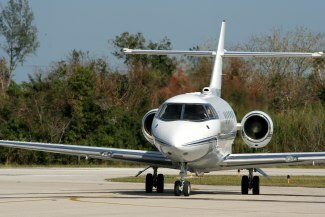 The International Herald Tribune has an article on the growing popularity of private jet cards. It includes comparisons to some of the alternatives. "It all comes down to convenience," said Peter Rohr, a Merrill Lynch private wealth adviser, noting that his clients wanted to avoid commercial airports, control their own schedules and, perhaps most important, save time. These are amongst the most common reasons for private flying that weve heard. Rohr added he had a client who recently sold his Gulfstream III and signed up for a private jet card. "This was a person who could afford anything," Rohr said. "For him, it was so much easier." We often hear similar anecdotes from destination clubs. On joining the clubs members have sold their second or third vacation homes, simply to make their life easier and reduce the hassles that come with full ownership. The article notes the cost of a 25 hour jet card, starting price of $131,900 in the United States and 131,000, or about $193,000, in Europe, not including taxes and fees. And compares this to the cost of a 50 hour per year (1/16) fractional jet ownership which start with an initial price tag of $400,000, plus monthly management fees as well as occupied hourly fees. Fractional provider NetJets, which introduced cards in 2002, now has an estimated 4,870 cardholders worldwide. FlexJet, its closest rival, didnt disclose cardholder numbers, but said that its card sales had risen 51 percent in the first half of this year from a year earlier. Another alternative are the private jet clubs or charter cards. These issue debit cards based on a minimum deposit of $100,000. Such cards allow for access to a variety of jet types billed at hourly rates and draw from various private charter providers. The fleets of the large fractional jet companies tend to have newer planes and also a consistent crew training and service level. Aircraft from charter companies tend to be older on average, but this clearly varies widely. Source: International Herald Tribune, "Private jet cards emerge as alternative to ownership"